← Happy Birthday Andy Warhol! 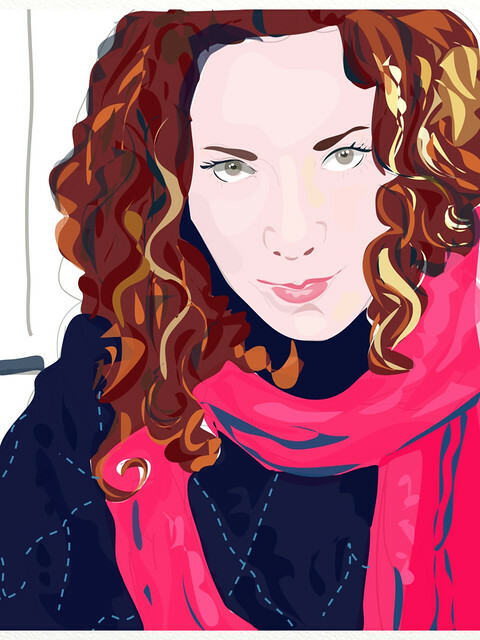 This is a portrait of Olga that I created using the Inkpad vector drawing app on my iPad. I have started experimenting with drawing a black and white line drawing on one layer and then drawing the colors on a separate layer on top. This is the line drawing alone which I imported into Artrage to get the paper texture. I was experimenting with changing the thickness of the lines to give them more of a variety and weight. After drawing the color version on the top layer I adjust the transparency of the line drawing so that it shows through the color layer but doesn’t overpower it. The two drawings have very different “personalities” even though they are of the same person.